For many of us, the one time of year our family gathers round to spend some quality time is during the holiday season. But of course, just because we call them our loved ones doesn’t mean that families are in a constant state of peace and love. In fact, the holiday season is prime time for a family feud. And there’s no telling what might trigger it; it could be anything from an overcooked turkey to a lack of hot water. Fortunately, if you’re hoping to eliminate at least one of those family feud triggers, you can count on a tankless water heater to prevent any more fighting caused by a lack of hot water. That’s thanks to its unique ability to provide a consistent, endless stream of hot water even under stressful, heavy-use conditions. Their tanked counterparts typically max out at 40-50 gallons (and takes hours to heat back up), so yanking the tank will prevent enduring yet another cold shower. 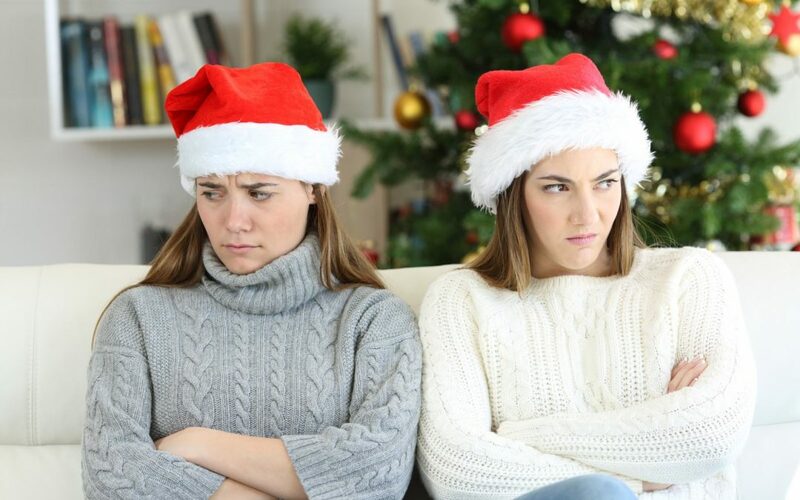 But how exactly do tankless water heaters prevent holiday feuds? You would think that you’d have to pay for extra energy if you’re buying a water heater that can provide an endless stream of hot water. Tankless units have more efficient heating mechanisms so it simply uses less energy, which mean you get to pay a smaller utility bill. With that extra money in your pocket, perhaps the stress of cooking an elaborate holiday meal will feel a little more manageable. Speaking of putting more money back into your pocket, the energy efficient appliance acts as a great selling point when it comes time to sell your home. Did you know that adding a tankless to your home can increase its resale value by 4%? 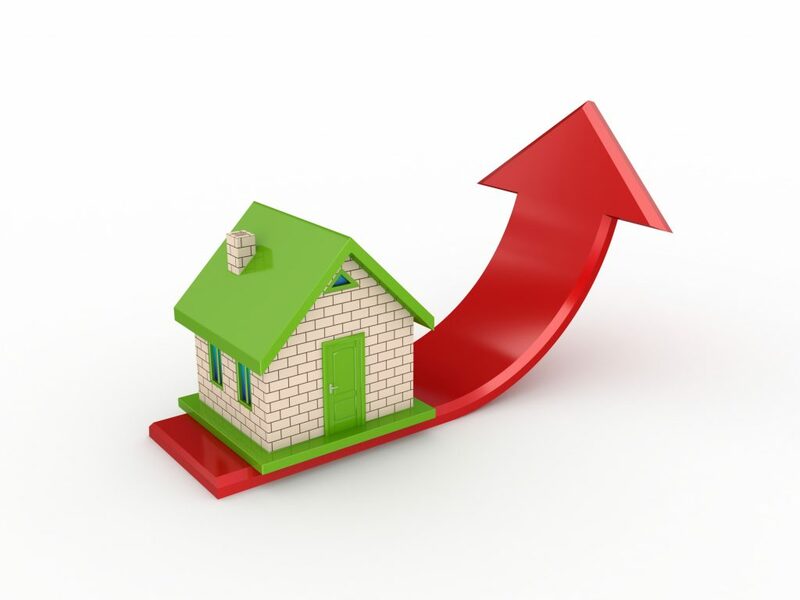 Anyone who buys your home gets to enjoy the savings that come with the more energy-efficient unit. Plus, the space-saving appliance frees up 10 to 15 square feet of the real estate that’s typically eaten up by a bulky tanked water heater. Nothing’s worse than hearing about a great product only to find out that it’s incompatible with your existing system. Until recently, electric powered homes did not have the luxury of reliable tankless systems. Nowadays, they work efficiently with both gas and electric homes. That said, the electric and gas tankless water heaters are a little different, so you’ll want to evaluate your options based on whether you have a gas or electric home. To prevent those family feuds, you should go with a tankless heater. But if it’s too late, and you don’t have time before the holidays to replace your tanked heater, you still have an option. And that option comes in the form of the Eemax Electric Booster. This innovative product goes on top of your tanked water heater and provides a significant boost to your existing tank. To be sure, this will buy you some time for this holiday season to avoid any argument over who is using up all the hot water. The holidays are stressful enough as it is. Don’t add to that stress by worrying about the safety risks associated with an older water heater. Especially when your untrained uncle is insisting on investigating that strange sound coming from your water heater himself instead of calling a professional (like Horizon Plumbing). Instead, consider a tankless water heater. They don’t require a large tank to operate, so the chances of a large explosion are one less thing to worry about. Still, that doesn’t mean you should let your uncle do the maintenance on your tankless water heater. After all, that’s what we’re here for. You really can’t put a price on the feeling of contentment you get when the house is full of the sounds of the family laughing and the smells of the turkey cooking. And you really don’t have to. Electric tankless water heaters are easy to maintain (by licensed professionals) are cost-effective, and save energy. And that means you can spend more time thinking about the things that matter, like when your family is finally going to go to bed. 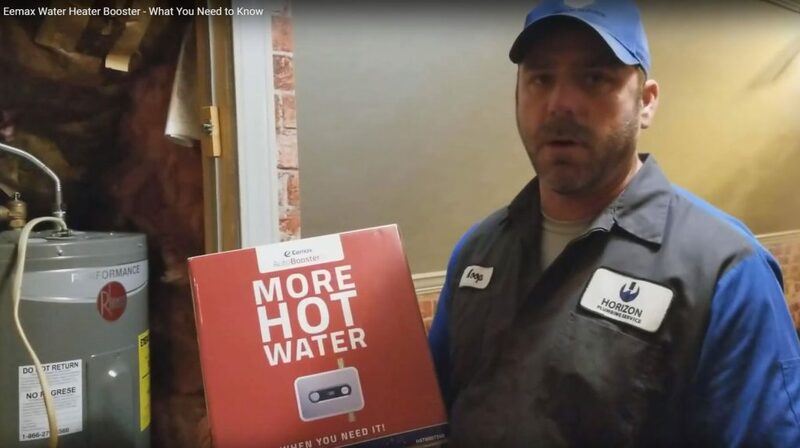 If you live in the Dallas / Fort Worth metroplex and would like to get a free quote on a tankless system for your home, contact Horizon Plumbing.